Home » Uncategorized » Just one week away! 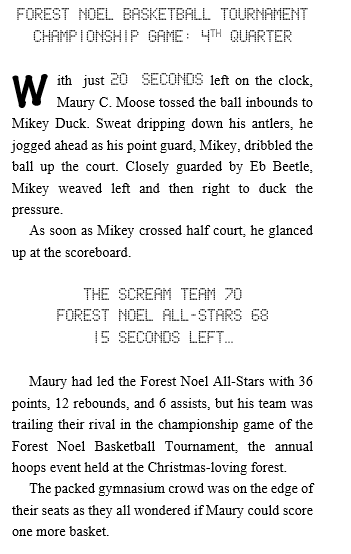 Maury C. Moose and The Basketball ChamPUNship, will be released next Tuesday, October 3rd. You are just a week away from reading if Maury can compete against Lamb Bron James, Cat Melo Anthony and dozens of other superstar players. Here’s a sneak peek of the 1st page of the book.